According to latest reports, the latest version of open source office suite called LibreOffice 6.2 released by its creator The Document Foundation. Under this new version, the company managed to bring major improvements to its UI, features and security aspects. 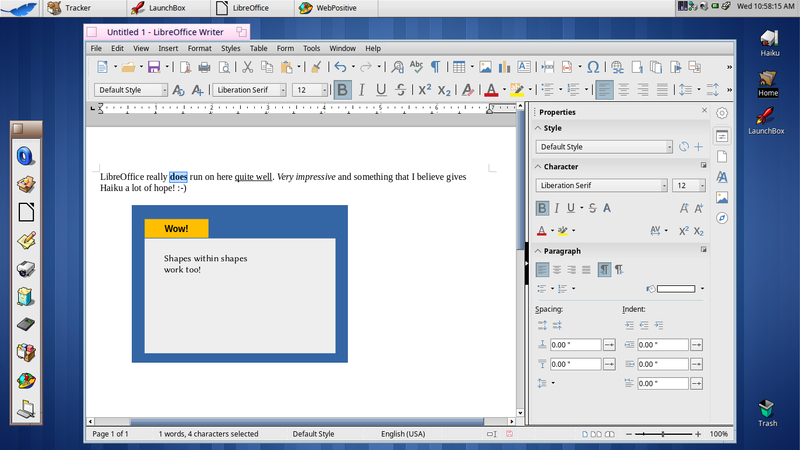 Talking about the new LibreOffice 6.2 features, it included many notable functions under this variant, however the features like new tabbed user interface, and dubbed NotebookBar is one of the most notable ones. Dubbed NotebookBar feature was reportedly in experimental phase for quite some time as per the reports. However, these features will not be seen available by default and users will find it in three variants that includes Tabbed, Contextual and Grouped. While choosing each of aforementioned flavors with new LibreOffice 6.2 released, a user will get a new revamped approach to menu layout and complements to native toolbars and sidebars. According to an official post, it says the Tabbed variant mainly aims to offer a familiar interface for users coming from proprietary office suits. This variant is supposedly to be used without any sidebar. However the Grouped option allows users to access “first-level” functions with one click and “second-level” functions with 2 clicks as maximum. Other than these tabbed updates in LibreOffice 6.2 released recently, the new version also offers now faster filter for indexed keywords, improved compatibility with office documents, enhanced KDE/Qt5/LXQt integration, OOXML agile encryption compatibility, HiDPI improvements, and many more. The company has also officially ended Linux x86 binary with the release of LibreOffice 6.2 version, and the officials even cleared there would be no Linxy x86 builds further. To read complete release notes about latest LibreOffice version, Click Here. Do Subscribe Us to stay tuned with latest tech articles and news. Give Your Suggestions Or Ask anything..!! Techs Magic will use the information you provide on this form to be in touch with you and to provide regular updates.